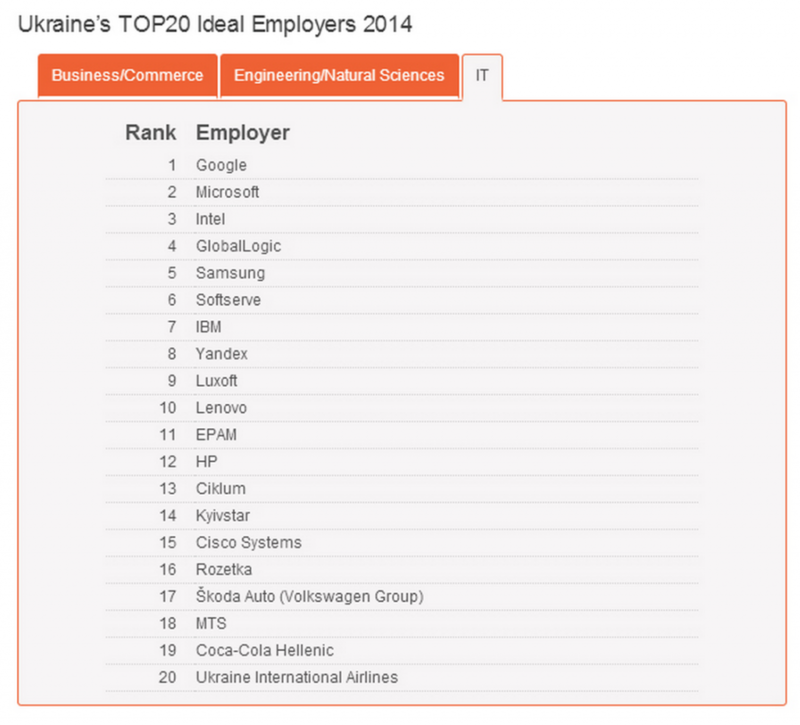 According to a survey conducted by Universum, Ukrainian students ranked GlobalLogic as the #4 IT company among Ukraine’s TOP20 Ideal Employers for 2014. Also in the IT category were market leaders such as Google, Microsoft, Intel, and Samsung. As the global leader in employer branding, Universum surveys 700,000 students and professionals to provide companies with Ideal Employer ™ research. This year marks the first time it has conducted a student survey in Ukraine. Polling 28 universities, Universum gathered information that reveals how attractive employers are for students in Ukraine. GlobalLogic appreciates the confidence of Ukraine’s young professionals and will continue to actively contribute to their professional development through initiatives like preparatory IT courses, hackathons, student programming competitions, open days, and more.